Events 27 Oct 2011 02:06 pm by David ! 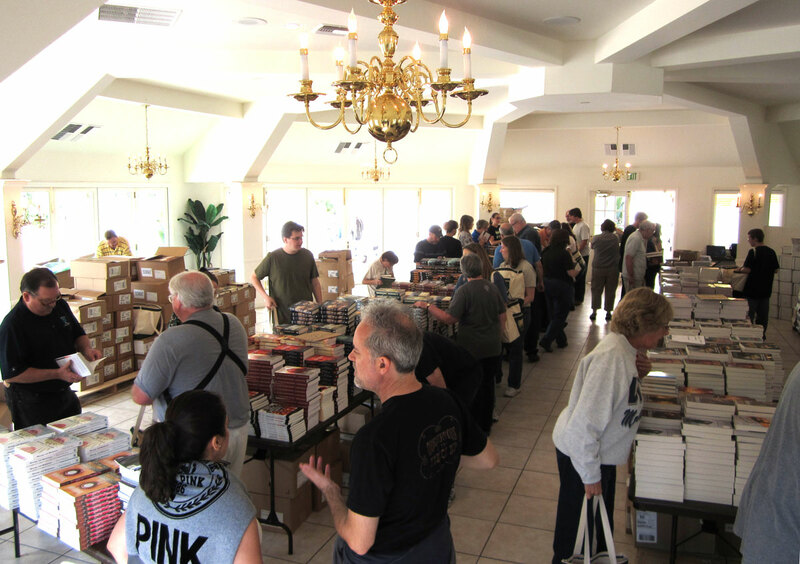 At the World Fantasy Con in San Diego, volunteers spent yesterday assembling promotional giveaway packages for each of the 1200 registered members of the convention. 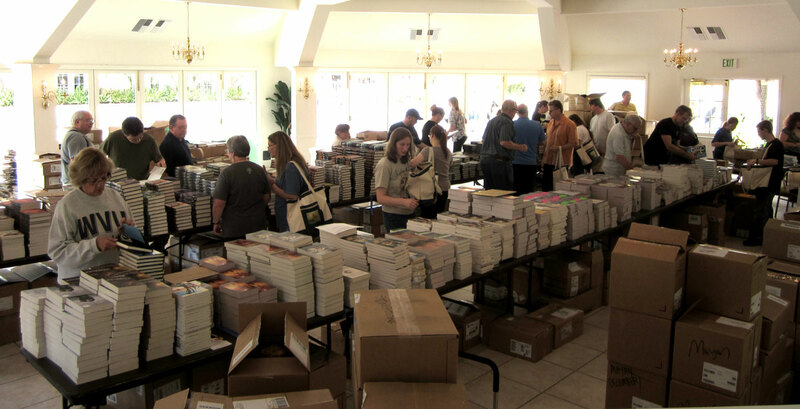 Largely publishing professionals, each member will come away with a “gift bag” of books, courtesy of publishers eager to get influential eyeballs on their titles. This “bag” must be the size of a garbage bag and fifty times as strong. I am curious to know what exact form this package will take! Will registration staff also be handing out luggage carts to cart away the booty? 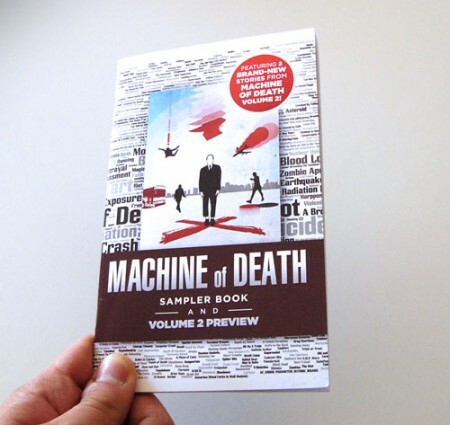 This 52-page booklet features info about Machine of Death (which, if you’re reading this post, you probably already know about, but not everyone at the con will) as well as a preview of two stories from Volume 2. Does information really want to be free? Do the people who say that still think so once they’ve been published? Generational differences in attitudes toward information and its effects. 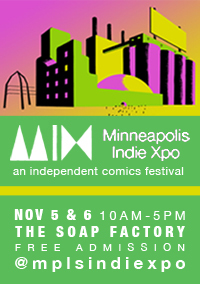 Justin Ackroyd, David Chanoch, Jeff Conner, Ashley Grayson (M), David Malki ! I find it interesting that “generational differences” as a factor is called out right in the panel description. Are old folks by definition curmudgeons about Those Blasted Internets? Are young folks cool and hip and culture-savvy and with-the-flow, riding their skateboards with their backwards caps? WE SHALL SEE, on Sunday! I also hope to spend some time asking folks their opinion of the giveaway bags. Is this a viable way for publishers to promote new titles, or just a thing that they feel they have to do because everybody else does? THE DEFINITIVE ANSWER: FORTHCOMING. ooh! So there’s already two that are definitely in! Wish I could attend that conference. I think the “generational differences” discussion would be fascinating. Are these two stories in the booklet stories you accepted from the submission bucket, or stories that you guys wrote yourselves? They are submitted stories that we bought a little early, so we could put them in the booklet. So does that mean Volume 2 is being titled “Volume 2”? We have landed on a specific title, which we will reveal soon. I’m banking on Machine of Death 2: Electric Boogaloo. I’m hoping for Machine of Death 2: Death of the Machine. Or The Machine of Death and The Chamber of Secrets. 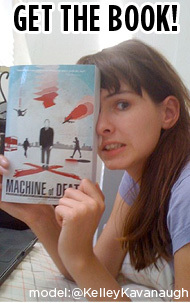 Machine of Death: LOOK WHO’S DYING 2. Wish I could go so much to get my hands on that preview! I enjoyed your Intellectual Property Rights panel and left with a lot to think about. Thank you also for graciously answering my questions after. Thinking of potential piracy problems as opportunities is a refreshing perspective.